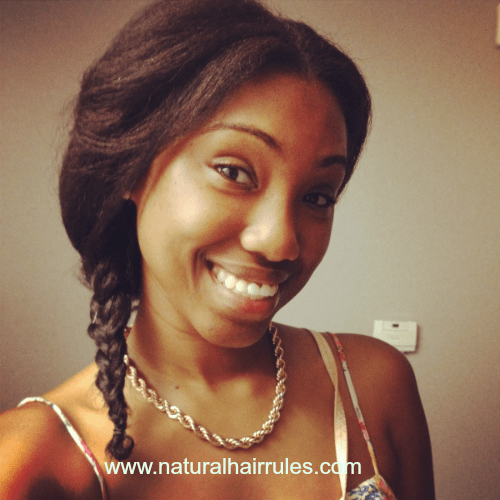 5 Ways to Prep Your Natural Hair for Fall | Natural Hair Rules!!! , Apple Cider Vinegar Rinse or Bentonite Clay Hair Treatment. If you opted to wear your out this summer, and the humidity caused shrinkage, it likely caused a lot of tangling too. It probably also caused knots and split ends too. If this is case, then start your fall with a clean slate. Get a trim! You don’t want to head into fall and winter with damaged ends. The cold, brittle hair that is coming will not show those damaged ends mercy…so get a trim. Here are some other Signs Its Time To Get A Trim. The summer has been harsh on your hair. So make sure you deep condition your hair with heat to give it some extra TLC. As the summer transitions into fall, more moisturizing deep conditioners will be your friend. To penetrate your hair strands, make sure you to use heat for 20-30 minutes — or as directed on the bottle. So there you have it… tips to transition your hair into fall. What will you be doing to your hair this fall? I AM JUST TRANSITIONING TO NATURAL HAIR FOR ABOUT 3 MONTHS NO RELAXER. I HAVE HAD A PRESS AND CURL FOR ABOUT 1 YEAR, ALSO MY IS GRAY AND BLACK. I HAIR IS SOMEWHAT LONG NOT READY FIR THE BIG CHOP YET. I BEEN USING THE SHEA MOISTURE PRODUCTS. WHAT DO YOU RECOMMEND FOR MY HAIR . ITHINK MY HAIR IS A 4C.